Mr. Hosny was born in Alexandria, at that time one of the most important and cosmopolitan cities in the world. The heterogeneous society that made its home there successfully combined the culture and values of Europe and the East, a rich convergence that had a lasting influence on Minister Hosny’s artistic and professional development. Gravitating towards the arts at an early age, Mr. Hosny studied at the Faculty of Fine Arts, Alexandria University, and graduated in 1964. Here Hosny was exposed to the writings of Taha Hussein, the university’s first dean, who believed in the importance of cultural cross-pollination and considered Egypt part of the larger Mediterranean koine. 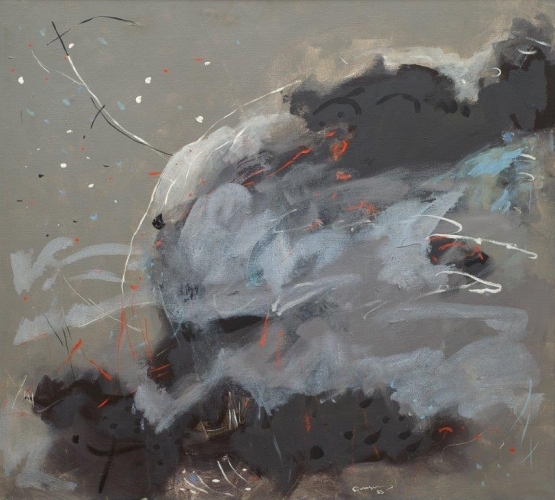 As a young man, Hosny developed the philosophy that has guided him throughout his life, namely that art, and especially painting, can be used to rebuild and enrich the world. His artistic style during this early period of his life was expressionistic, perhaps best characterized as dreamy. 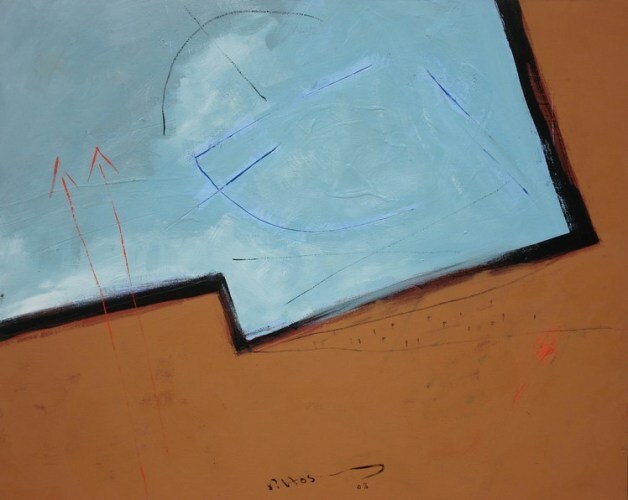 Striving both to convey his feelings and provide the viewer with a subjective vision of his personal experiences, he took his palette from the harmonious colors and vivid contrasts of his home city. Farouk Hosny’s career as a professional artist began in 1965 at a small cultural center, El Anfushi, located in one of the poorer districts of Alexandria. This center had been founded in order to encourage culture and give the underprivileged a chance to interact with the world of art and literature. Hosny succeeded in turning El Anfushi into a celebrated workshop for the arts, lighting a creative flame which drew many lovers of music, poetry, art, and theater into its orbit. Soon his success in attracting the attention of the general public, and his commitment to serving those in need, led to his appointment as the director of this center. 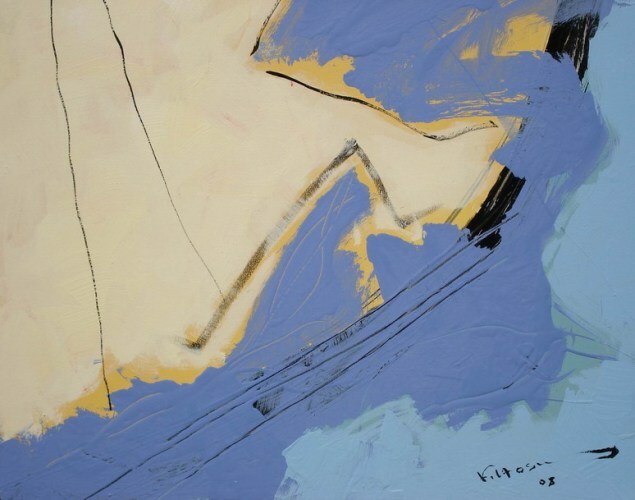 During the late 1960s and into the early 1970s, Mr. Hosny’s artistic approach shifted gradually from expressionism to an unabashedly abstract style. He gave his first on-man show at the Alexandria Atelier in 1970, and his paintings were very well received. His successful directorship of the center and his acclaim as a budding Egyptian painter culminated in Hosny’s posting in 1971 to Paris to serve as the cultural attaché of the Egyptian Embassy and director of the Egyptian Cultural Center. His time in France proved an important turning point in Mr. Hosny’s career. During this period, he was instrumental in showcasing the rich and varied facets of Egyptian arts and culture, including Egyptian cinema, and effectively drew attention to both traditional and contemporary forms of cultural expression. Thriving in the atmosphere of rebellion that grew out of Paris’s turbulent Civil Rights movement, Hosny promoted dialogue between French and Egyptian intellectuals by holding meetings and sponsoring exhibitions by Egyptian artists. 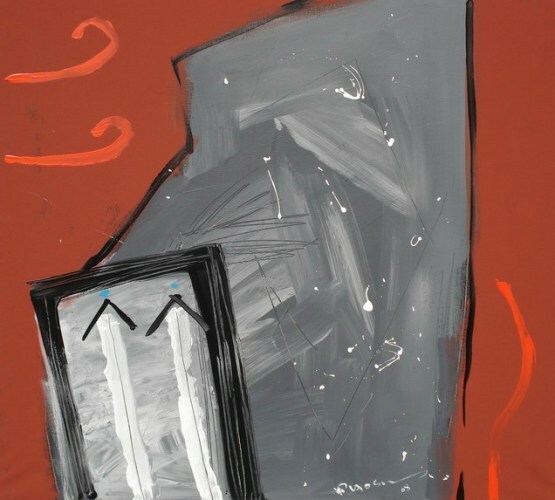 He also showed his own work in Paris and other French cities, and forged strong connections with French artists and critics. An important outcome of these interactions was the development of a distinctive artistic idiom, which began to take shape and to mature during this era. Mr. Hosny’s style, characterized by an unrelenting pursuit of the new and previously unexplored, has given him the unique artistic signature that distinguishes his work to this day. In 1979, Farouk Hosny was appointed director of the Egyptian Academy of Arts in Rome, another European hub for art and culture. As in Paris, he worked to introduce both traditional and modern Egyptian arts and culture to a European audience. Through these efforts, he built relationships with important figures in varied fields such as politics, music, literature, theatre, and film, in addition, of course, to forging ties with many visual artists. 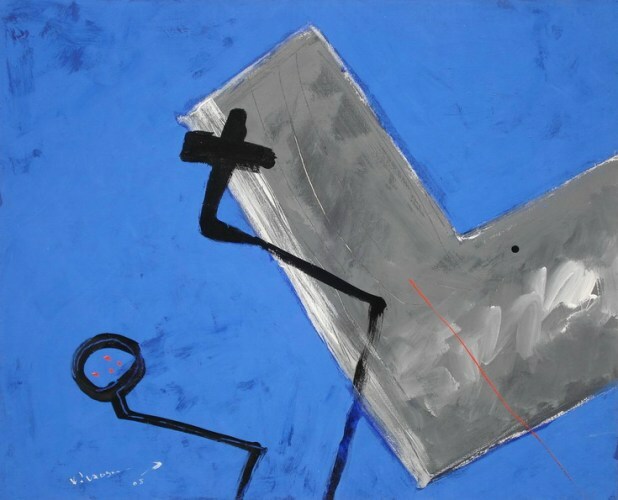 Hosny held exhibitions of his work in Rome and other Italian cities, where his work, which remained rooted in the abstract realm but became increasingly more sophisticated, was favorably reviewed by some of the most important art critics in both Italy and Egypt. Mr. Hosny’s success in Europe led to his appointment in 1987 as Egypt’s minister of culture. He saw this as a great opportunity to revive Egypt’s cultural greatness by removing any obstacles that stood in the way of progress and leading the way to the broader horizon that had always been his dream, both as an artist and as a politician. Immediately upon his appointment to this key post, Mr. Hosny drafted a new cultural and artistic policy for the country, a blueprint which he discussed with key intellectuals as well as members of relevant cultural institutions and think tanks. Taking the feedback he received into careful consideration, he created the visionary policy that has guided his tenure. The principal tenets of his policy are: to foster artistic creativity, particularly among young talents; to democratize culture and make it accessible to a wider public; to refine the public’s taste; to encourage artistic openness and integrate Egyptian culture with the rest of the world; to build a functioning infrastructure that will support Egyptian culture in the present and future; to protect Egypt’s cultural heritage; and to build new cultural institutions and outlets for learning and artistic expression. Since his appointment, Mr. Hosny has worked vigorously to change the face and direction of the Ministry of Culture, founding a number of new organizations and completely revamping some of the Ministry’s key institutions to accord with his vision. His achievements are noticeable throughout all the various sectors of the Ministry. As an artist himself, Mr. Hosny has continued to focus on the visual and performing arts. He has been keen to provide modern educational buildings equipped with state-of-the-art facilities and services to Egypt’s youth, and has overseen the process of modernizing the curricula and instructional methods used in the Academy of Arts. Furthermore, he has overseen the foundation of a number of new institutes affiliated with this academy, including the Higher Institute of Children’s Art and the Institute of Environmental Architecture. Mr. Hosny is credited with establishing a number of specialized centers of creativity in the fields of poetry, criticism, theater, cinema, children’s culture, and fine arts. Such centers are now to be found throughout all of Egypt, particularly in the provinces. Thanks to Mr. Hosny’s vision, many of the key historical buildings in Cairo have been transformed into centers for culture and research. A number of old palaces have been renovated as venues for art and music, bringing together the traditional and the new and protecting Egypt’s cultural identity. In the traditional realm, for example, he established the House of Oud to revive Arabic musical heritage; to support contemporary efforts, he founded the International Center of Music at the Manasterly Pavilion. A new museum dedicated to Umm Kalthoum has also been opened in the Manasterly complex. The old Cairo Opera House, which burned down in the 1970s, was rebuilt, with Japanese support, during Mr. Hosni’s ministry. This now provides a venue for concerts, operas, and art exhibitions. Hosni has sponsored the establishment of the National Cultural Center, home to the Cairo Opera, the Cairo Symphonic Orchestra, the Arabic Museum troop, and The Center for the Development of Talent. He has also been instrumental in the establishment of a number of new national museums devoted to culture, including the Contemporary Art Museum, the Abdel Wahab Museum, the Sa’ad Al Khadim, the Al Mansoura Museum, the Denshawy Museum, the Mostafa Kamel Museum, and the National Gezira Center. Farouk Hosni’s interest in popular culture has been expressed, for instance, by the establishment of the Creative House of Popular Art, which provides venues where contemporary artists and craftspeople can exhibit their products and be introduced to a global audience. His dedication to modern policies has succeeded in encouraging many young talents; he has sponsored a number of international festivals in cinema, theater, literature, and the arts, raising Egypt’s profile in the international cultural community. Among these is are the Annual International Festival for Experimental theater, the first of its kind in the world; the Cairo International Film Festival; a;nd the Aswan International Symposium of Sculpture. The cultural bridges he has built between Egypt and the rest of the world, particularly Arab, European, African, and Asian countries, are vital to his legacy. An essential focus of Mr. Hosny’s vision has always been education and literacy. He is responsible for the creation of libraries andcultural centers throughout many of Egypt’s poorer neighborhoods, providing the youth there with safe havens where they can develop productive hobbies and pursue long-term interests. He has successfully achieved his goal of opening 10 new libraries each year. In addition, he has established a number of major libraries, such as the Library of Greater Cairo. Under Mr. Hosny’s sponsorship, the Cairo Book Fair, an annual opportunity for the Arab publishing world to come together, was launched in 1996. The various activities that take place here revolve around the introduction of new titles, but the fair also facilitates the exchange of both books and ideas. In 1995, he adopted a National Project for Translation, through which books from 27 different languages have been translated into Arabic. This led to the foundation, in 2007, of the National Center for Translation. The value that Farouk Hosny places on global literacy and familiarity with traditional Arabic literature is clearly articulated through his enthusiast support for Mrs. Suzanne Mubarak’s vital initiative, Reading for All, a unique and visionary project that makes important texts available, both in Arabic and in translation, to a wide audience through economic subsidies. He has sponsored the publication of affordable books for adults and children in categories such as art and archaeology; Arabic heritage and Islamic studies; philosophy; science; reference; and literature. In addition, he has revived the famous Dar Al Kotob (the National Library and Archive), and has supported the digitization of many priceless and irreplaceable documents. Another of Hosny’s important initiatives has been the foundation of specialized laboratories focusing on the conservation and restoration of historical documents, rare books, and manuscripts – the first such laboratory in the Middle East, and he continues to encourage the training of new specialists in this field. During Mr. Hosny’s tenure, a number of important new cultural heritage museums, designed as centers for outreach and education, have been established and developed, while older museums with out-of-date displays are being renovated and reopened. His achievements to date include the building of the Nubian Museum in Aswan, the Mummification Museum in Luxor, a new wing of the Luxor Museum, the Islamic Ceramic Museum in Cairo, and the Imhotep Museum in Saqqara, and the renovations of the Alexandria National Museum and the Biblioteca Alexandrina; a number of other new museums are currently under construction. Farouk Hosny’s vision has led to the inauguration of two major new museum projects in Cairo. The National Museum of Egyptian Civilization is being built in Fustat, the first Islamic city, under the auspices of UNESCO. Complementing this will be the Grand Egyptian Museum, considered one of the most important museum projects in the world. This is planned for construction near the pyramids at Giza. The great Egyptian Museum at Tahrir will soon undergo extensive renovations as well. Mr. Hosny has also been successful in sharing Egypt’s cultural heritage with the world, because he truly believes that the Egyptian monuments belong to everyone. During his tenure, exhibitions of Egyptian artifacts have been sent all over the globe, to Europe, American, Australia, and even the Far East. As a result, interest in Egypt’s past around the world has never been stronger that it is today. Under Farouk Hosny’s guidance, the Ministry of Culture has become an essential instrument for change, progress, and enlightenment in Egypt. An expert administrator who knows when to attack and when to bide his time, he has fought and won many battles for the right to freedom of thought and expression, always defending enthusiastically what he believes to be just and fair. Throughout his long career, he has never lost the cosmopolitan spirit of tolerance and inclusiveness that was bred into his bones during his Alexandrian childhood, aspiring to bring out the best in everyone regardless of race, gender, or religion. Mr. Hosny currently resides in Cairo. He remains active as an artist, and has exhibited his paintings in some of the most prestigious museums in the world. Most recently, a selection of his paintings was displayed in the National Geographic Society Museum in Washington, DC (2005). 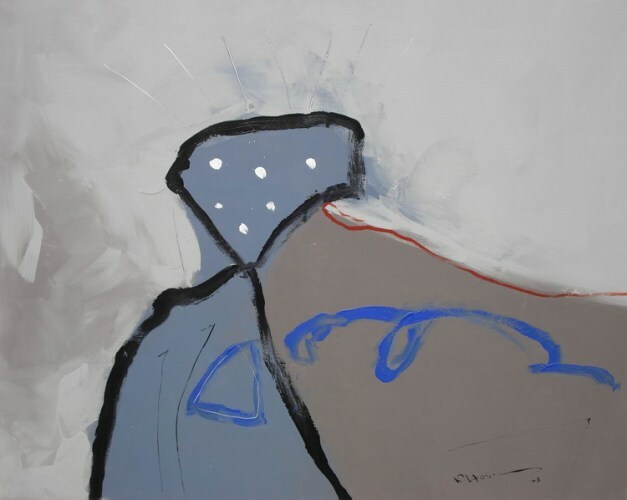 Previous major international exhibitions venues for his work include the UNESCO Gallery in Paris (1994); the Vigor Museum for Arts in Tokyo (1996); le Carrousel de Louvre (1998); the National Museum of Vienna (1999); the Metropolitan Museum (1999/2000); and Le Vittoriano, Italy (2005). He has exhibited around the Arab world at venues such as the Sursock Museum in Lebanon, the National Museum in Bahrain, and in Morocco, Qatar, Abu Dhabi, and Saudi Arabia. Additional honors held by Minister Hosny include an honorary doctorate from the University of Soka in Japan (1993), where he is now Professor Emeritus; Professor Emeritus at the Faculty of Fine Arts at the University of Alexandria; the Culture and Peace Award from the Soka Gakkai International University of Japan (1993); and the Mediterranean Award for the Arts (2006).